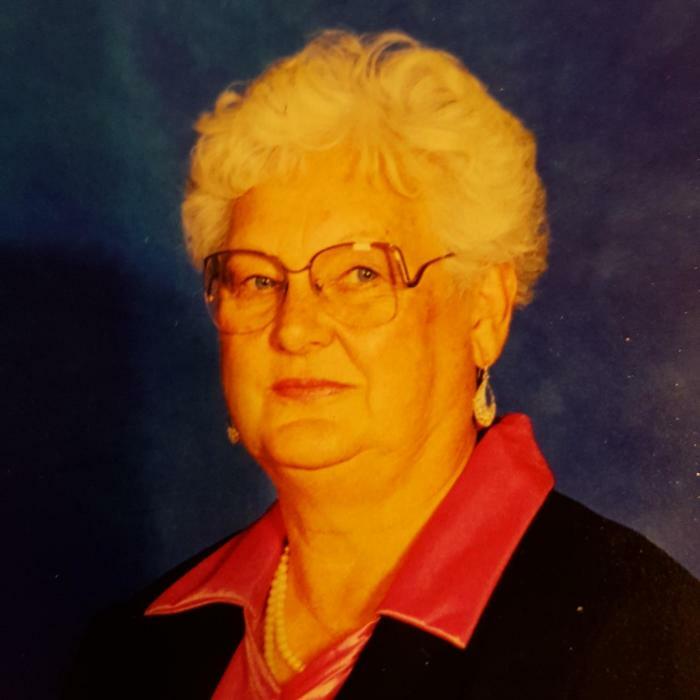 God took a gentle soul home peacefully from this earth on March 26, 2018, when Charlotte Spargur, 86, died at Powell Valley Hospital. Charlotte was born May 13, 1931, in Otto, Wyoming, to George H. Klaus and Ellen (Peterson) Klaus. She was the seventh of eight children. Her early schooling was at Stringtown Elementary, and she finished her education in Basin, Wyoming. Charlotte met John Henry Spargur while working at the Basin Drug Store soda fountain. They married Nov. 13, 1948, in Billings, Montana. To this union four children were born: Dennis, Lesa, Ava and Laura. The first three babies were born by the time Charlotte was 21. She was busy. The family always lived in the Big Horn Basin; Greybull, Powell, and the Marathon Pipeline camp at Oregon Basin were the spots they called home. Charlotte so enjoyed family and friends. Hosting family gatherings throughout the years was one of her legacies, along with passing down some of those famous Grandma Spargur recipes. She loved her card games, gracious in victory or defeat. A game with Charlotte was always fun and challenging. Charlotte was preceded in death by her husband John of 66 years, and all of her siblings. She is survived by her son Dennis (Judith) Spargur of Cody; daughters Lesa (Ken) Stockwell of Cody, Ava (Jim) Tobin of Powell, and Laura (John) Underwood of Rock Springs; 10 grandchildren, and 14 great-grandchildren. She is also survived by several nieces and nephews. She was well loved. Cremation has taken place. Services will be at the First United Methodist Church in Powell at 11 a.m. Monday, April 16. The family suggests donations be made to the charity of your choice.